House and lot for sale in Butuan, Caraga from 2M up! Welcome to Camella Butuan! Now you can buy a spacious house with a Spanish-inspired architectural design right at the wonderful province of Caraga at very affordable prices! 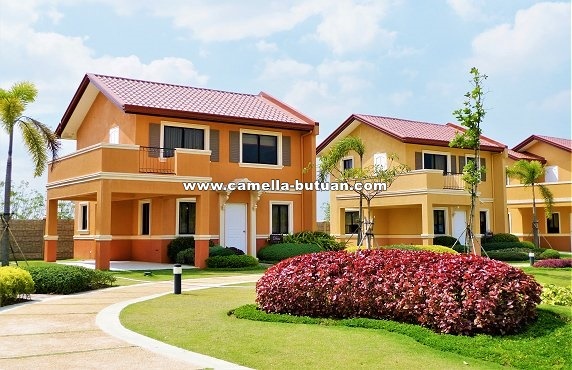 Camella Butuan is one of the latest first-class subdivisions in the City of Butuan. The village itself 10 minutes away from the Bacasi Airport and several attractions like the National Museum and the Balangay Shrine. 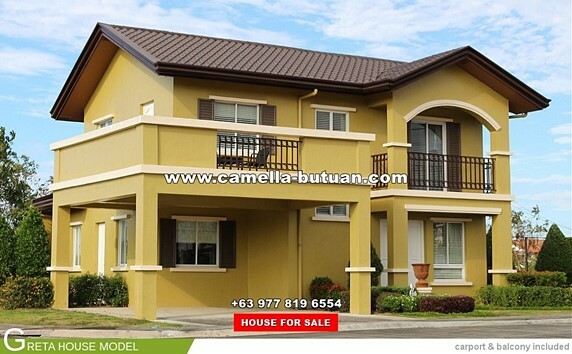 Houses and Lots in Camella Butuan are now available for sale starting at 2M only! Live a luxurious and comfortable life right at the heart of Caraga! Enjoy living in a place filled with warm and friendly people while being 10 minutes away from the airport and 15 minutes away from other essential establishments and attractions such as Robinson’s Place Butuan, Gaisano Butuan, Caraga Hospital, Starland International School Butuan City, Mazaua Island Resort, and Delta Discovery Park. Camella Butuan has a wide selection of beautiful Italian-Mediterranean-inspired house models for you to choose from. The contemporary architectural design, materials and finishing of each house are intended to complement the nostalgic environment that feels comfortable, homey and yet familiar. All house models in Camella Butuan have either a built-in or optional balcony where you can take pleasure in having early morning coffee or late night get-together and enjoy the sunrise or sunset. The interior of every house model in Camella Butuan has been carefully designed to accommodate the needs of your family--for today and in the future. Every house in Camella Butuan is designed to provide the needs of your family. We made sure that your house is as comfortable and spacious as you want it to be. Your future home will have at least 3 bedrooms, 2 toilets and baths, and a space for your car. The wide kitchen and dining room are well laid out for gatherings and parties. High ceilings and many windows installed to allow the fresh air to enter and cool your beautiful home. In Camella Butuan, house models have two storeys and at least three bedrooms for the comfort of your family and friends. The artist in you will enjoy designing the best layout of your house. For each floor, toilet and bath is conveniently situated to accommodate a full house. Let your inner artist shine and enjoy designing each room according to your preferences. In Camella Butuan life is what you want it to be! 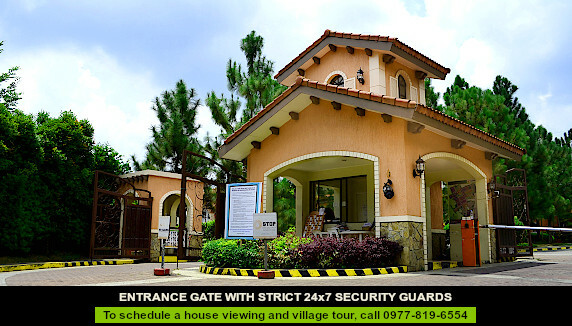 Camella Butuan in Butuan is a gated and secure community. The village is made more secure by perimeter fencing, a 24-hour CCTV at the entrance of the gate and a 24-hour roving security personnel within the village. Other amenities of Camella Butuan include playgrounds and pocket parks that will occupy almost a third of the entire estate, making it a sustainable, nature-friendly place for you and your family to live in. These amenities as well as Camella Butuan's proximity to the airport add value to your investment and increase the quality of life. Camella Butuan is being developed by Vista Land, the same company that built Crosswinds, a world-class Swiss-inspired exclusive community in Tagaytay City. Expect the same level of engineering expertise and customer satisfaction from Vista Land when you buy your house and lot in Camella Butuan. Our attention to quality and customer satisfaction has brought our company recognition for the fifth time as Reader’s Digest Most Trusted Brand under the Property Developer Category. We have received the Gold Award, a distinction signifying that it has excelled significantly higher than the competitors based on the results of the Trusted Brand Survey. 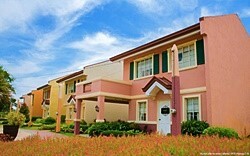 Camella Butuan is located at the heart of Caraga. It is known as the Timber City of The South. Butuan houses some of the Philippines' historical artifacts and historical sites that plenty of people go to see every year. In Camella Butuan, you will be just 10 minutes away from the Bacasi Airport and in close proximity to attractions like Balangay Shrine, Caraga Hospital, Starland International School, and the Delta Discovery Park. Enjoy living in a place filled with rich Filipino history right at Camella Butuan! Camella Butuan is one of the latest masterplanned communities in the Northern Mindanao region. The village itself is strategically placed at the heart of Butuan city where it is surrounded by essential establishments like Robinson's Place Butuan, Butuan Central Elementary School, Manuel J. Santos Hospital, transport terminals, business hubs, and churches. Living in Camella Butuan will provide you with a comfortable and luxurious feel for every house in the village comes with Spanish-inspired architectural designs. The village even comes with numerous recreational areas such as playgrounds, landscaped parks, a gazebo, swimming pool, basketball court, a marketing tent, and a clubhouse. Bring happiness and prosperity to your loved ones! Invest on a property in Camella Butuan now. Caraga is home to numerous hot springs, resorts, beaches, and lakes that many tourists flock to every year. It is also one of the most progressive metropolises in the country. 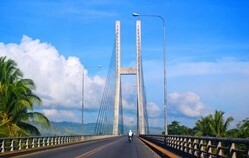 Over the recent years, Caraga has gained major developments including newly built highways, expressways, commercial hubs, and business districts. Well-known colleges are also built around the region to provide the growing population of the south with great educational options. Camella Butuan’s close proximity to recent and future infrastructures is only one of the many reasons that makes it an investment with a value that will certainly appreciate for the years to come.